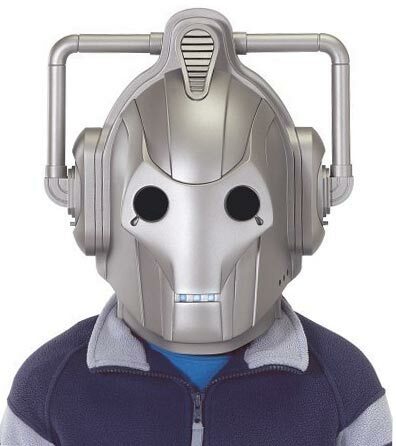 Found these on a Christchurch City Council Libraries website of all places . . . 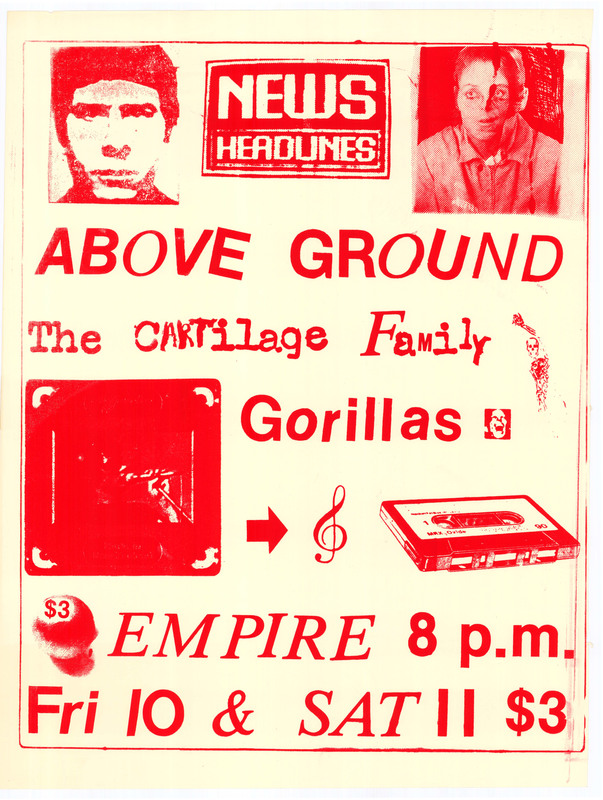 The first is from late 82 or early 83, advertising a gig at the infamous Empire Tavern in Dunedin. 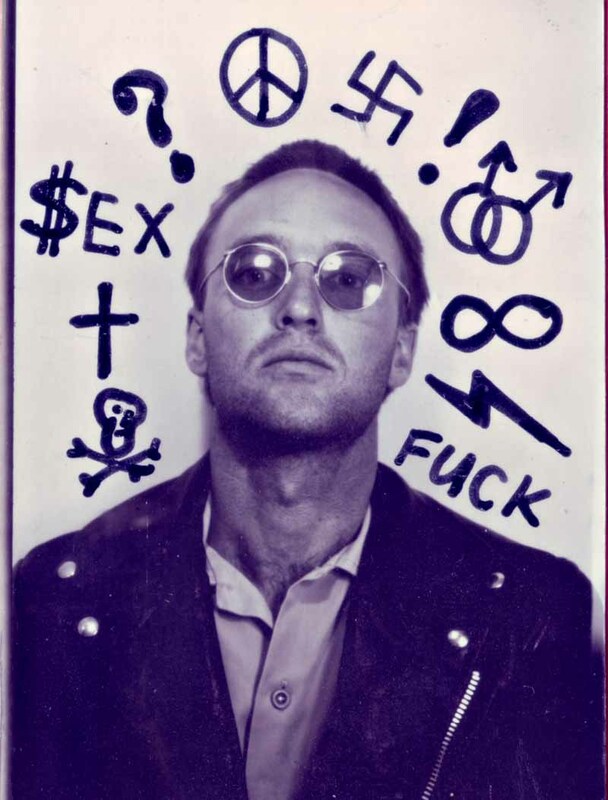 This poster was scrapped together from old posters and other art by Stu and whacked out in a night at the notorious Ink Inc. studio at 2/222 High St, Christchurch. 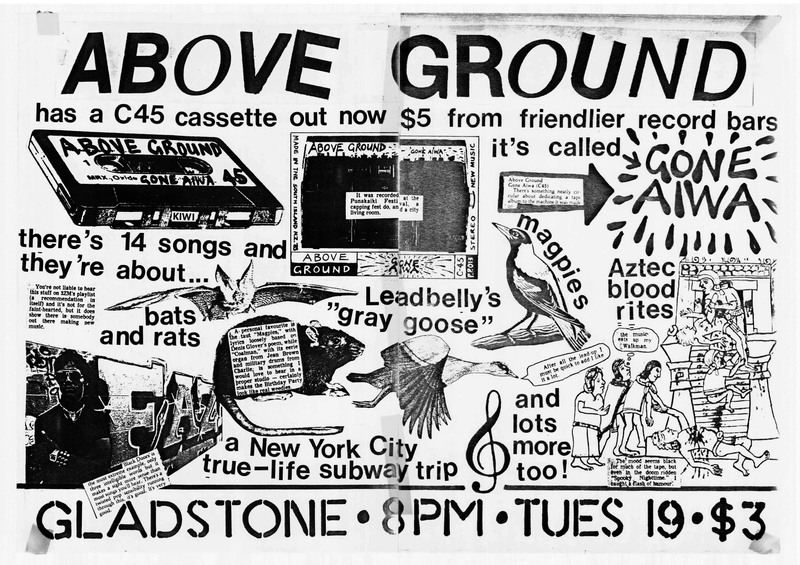 Above Ground was the band Stu was in with Bill Direen, Carol Woodward and Maryrose Wilkinson (now M. Crook in The Renderers), while the Gorillas were 16-year-old Stevie’s high-school group whose other half was comix-maestro-to-be Pete Rees. 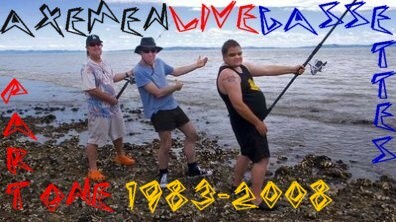 They travelled down from Christchurch for the gig. 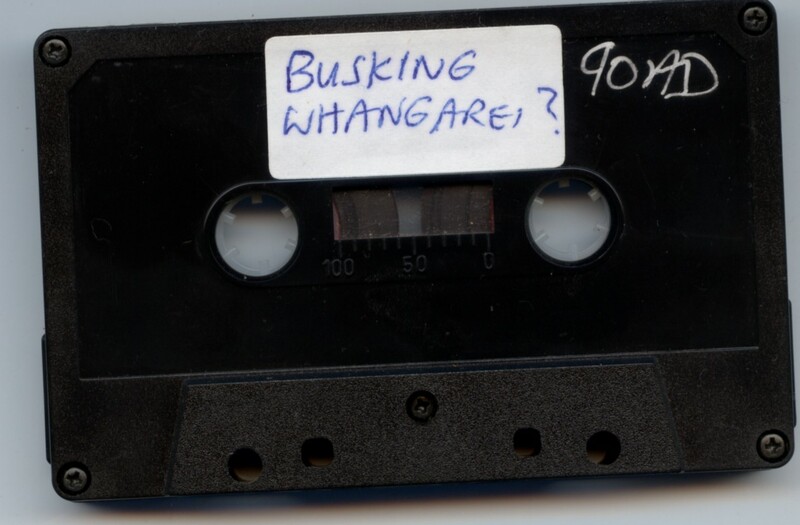 The Cartilage Family was Peter Gutteridge, Shayne Carter & Christine Voice’s then-band, locals we’d befriended over the years. 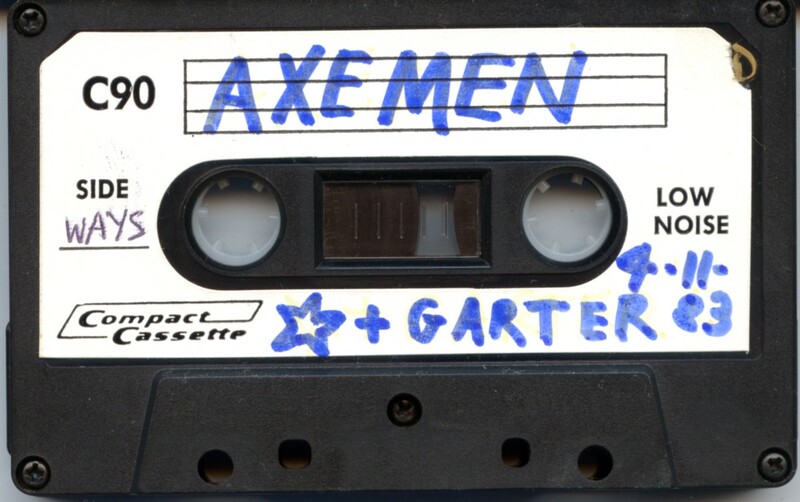 Here’s a mixed bag of cassette-only goodies . 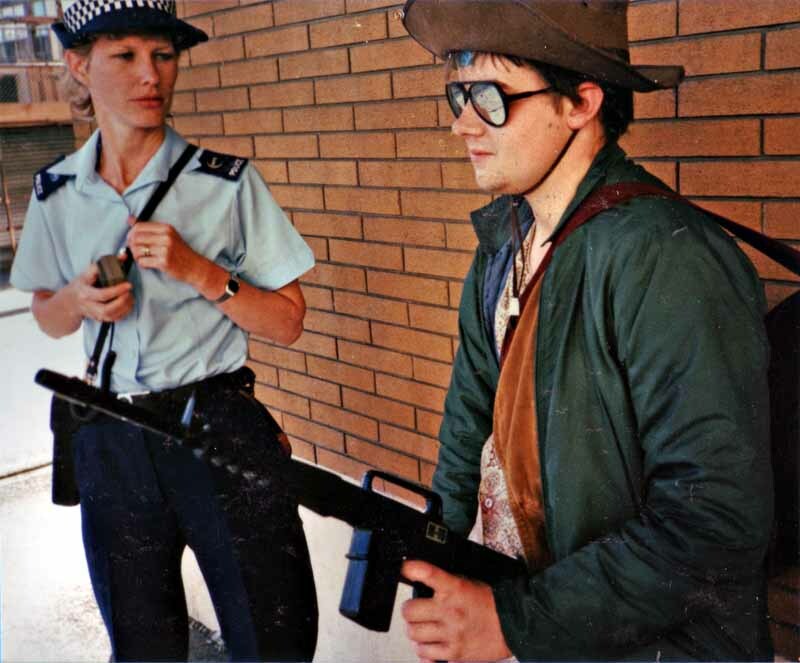 . .
–undated, probably from Christchurch practises late 1984. 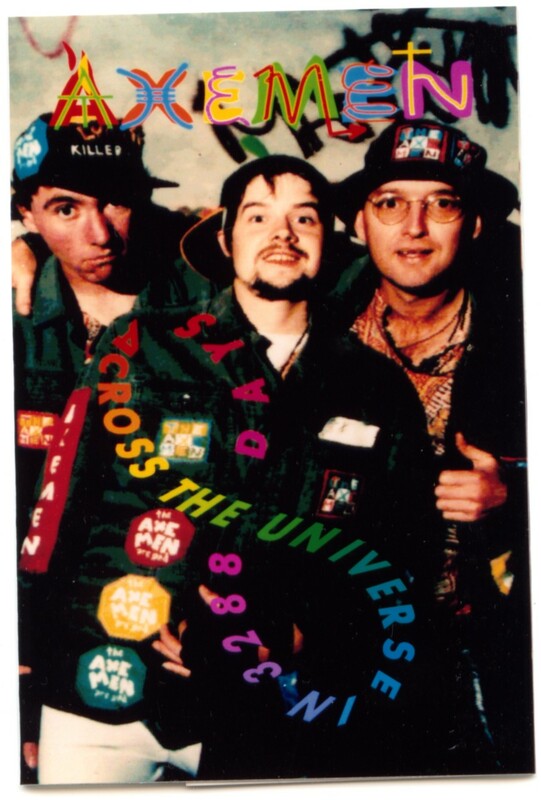 Presence of saxophone and graphic equalizer are big time-clues, plus references to beer & god, plus the other side of the tape features the song “the panther of the suburbs” whose lyrics Steve channeled in trance-state following A SCAR IS BORN sessions, mid-84. —live at the Star & Garter in Christchurch, 4 November 1983. This is around the time of the MICK’S DANCEFLOOR (MIX) sessions, and Mick himself, M. S. Agro, plays bass with us for the first of a whole bunch of great gigs. 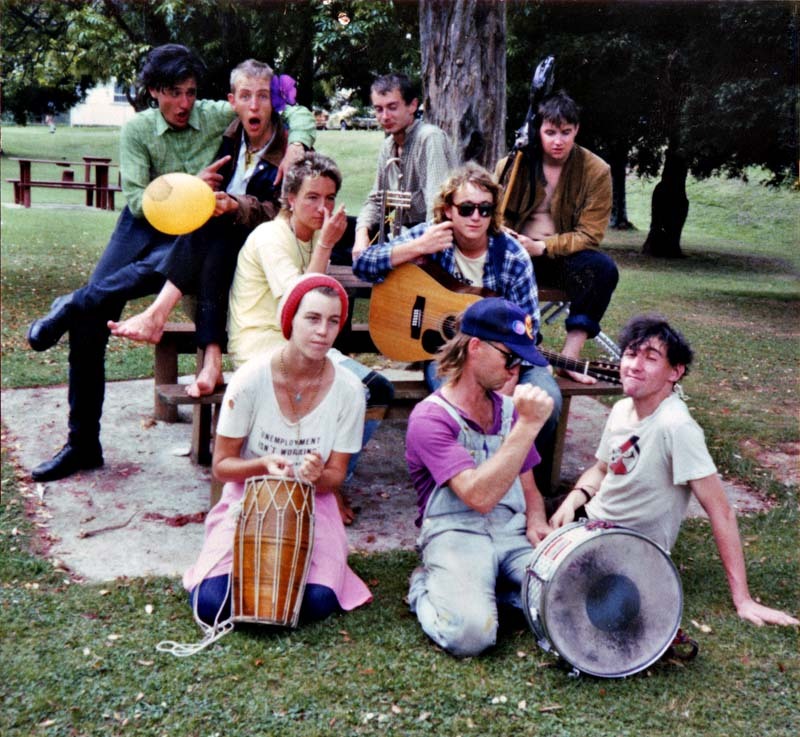 —Axmin biggish band again at Whangarei Busker’s Convention, December 1985. 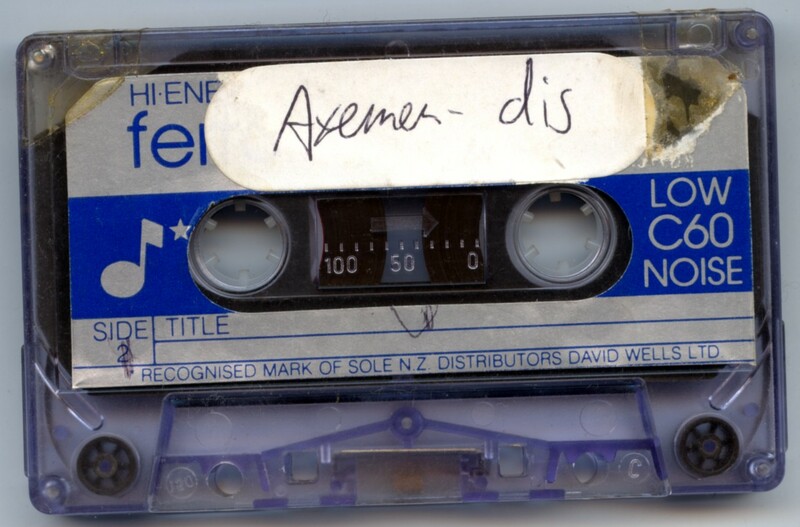 –live at Cashel St practice rooms, early-mid 1986, with vocal overdubs by Steve & his 4-track. This picture was taken in Whangarei after the Axmin returned from a day trip to Auckland where they’d scooped 1st prize in the inaugural Auckland Busking Competition (judges: Topp Twins). 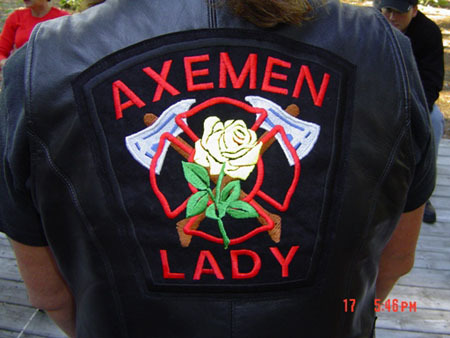 At this time the band had expanded from 3 to sometimes over 10 personnel, boasting a brass section and women members (hence the temporary rename to Axmin). This is from a gig with no location or date. 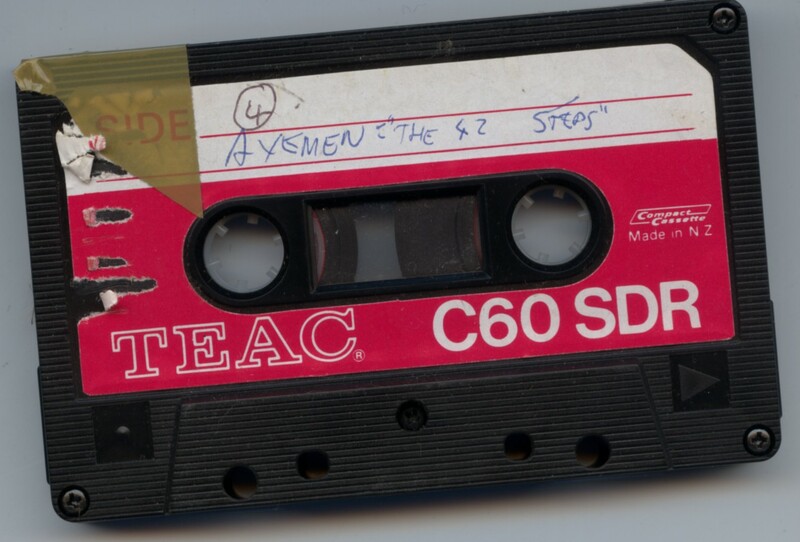 The tape just says AXEMEN “THE 42 STEPS” in Steve’s writing. He overdubbed some vocals on it so it must be after he got his 4-track cassette recorder, early 1986. Awesome drums!